Windows server 2019 was available for public (GA) from early oct 2018. In past i have written many articles about domain migrations by covering different Active Directory versions. So, it is time me to write about AD 2019 migrations. In this demo I am going to demonstrate how to migrate from Active Directory 2012 R2 to Active Directory 2019. The same procedure is going to apply for any AD version from Windows Server 2008. Migration itself is very straight forward task. But there are other things you need to consider before you do an AD migration. In below I listed a checklist you can use in many occasions. • Migrate Application and Server Roles from the Existing Domain Controllers. 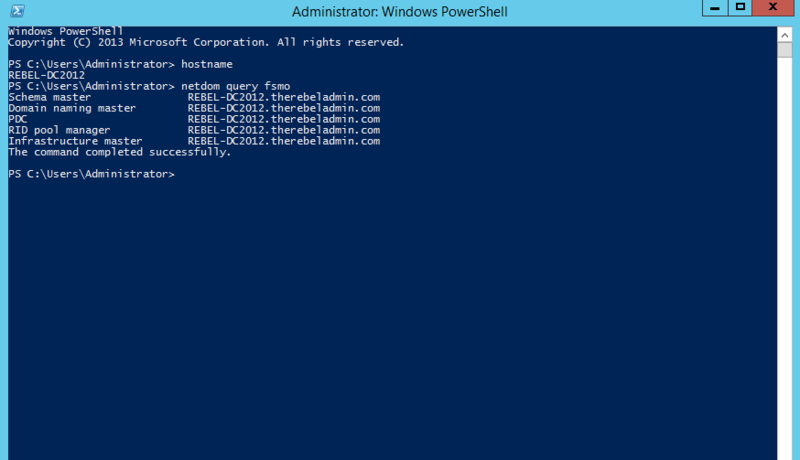 As per the above figure therebeladmin.com domain has two domain controllers. In here, the FSMO role holder is running windows server 2012 R2. Domain and forest functional level currently operating at Windows server 2012 R2. A new domain controller with Windows server 2019 will be introduce and it will be the new FSMO role holder for the domain. once FSMO role migration completed, Domain controller running windows server 2012 R2 will be decommissioned. After that forest and domain function level will raised to the windows server 2019. 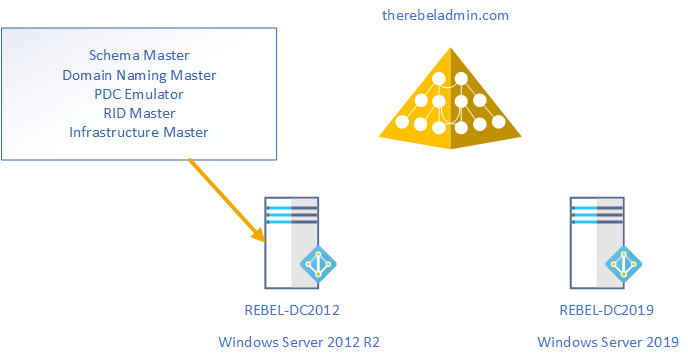 In the demonstration, REBEL-DC2012 is the domain controller with windows server 2012 R2 and REBEL-DC2016 is the domain controller with windows server 2019. When you introduce new domain controllers to the existing infrastructure it is recommended to introduce to the forest root level first and then go to the domain tree levels. 1. Log in to the Server 2019 as a member of local administrators group. 6. Before the configuration process, we need to install the AD DS Role in the given server. In order to do that we can use Following command. 7. Configure the new server as additional domain controller. There are no line breaks for the command and I have listed it as above to allow readers to identify on the parameters clearly. This cmdlet will install the domain controller in active directory infrastructure. If you do not need to create the domain controller as global catalog server, this parameter can use. By default, system will enable global catalog feature. This parameter defines the FQDN for the active directory domain. Using this parameter can define the active directory replication source. By default, it will use any available domain controller. But if need we can be specific. Once execute the command it will ask for SafeModeAdministrator Password. Please use complex password to proceed. This will be used for DSRM. 8. After configuration completed, restart the system and log back in as administrator to check the AD DS status. Will confirm the status of the AD DS service. Will list down the domain controllers along with the IP address and Sites it belongs to. 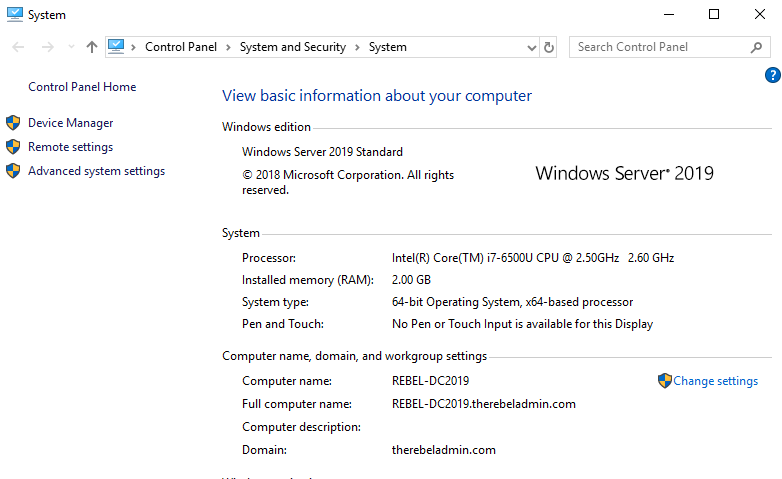 In above the REBEL-DC2019 is domain controller running with windows server 2019. 10. The new step of the process is to decommission the old windows domain controller which running with windows server 2012 R2. To do that execute the following command as enterprise administrator from the relevant DC. After execute the command it will ask to define password for the local administrator account. Once its completed it will be a member server of the therebeladmin.com domain. 11. Next step is to raise the domain and forest functional level to windows server 2019. To do that can use the following commands. With windows server 2019, there is no domain or forest functional level called windows2019. It is still 2016. 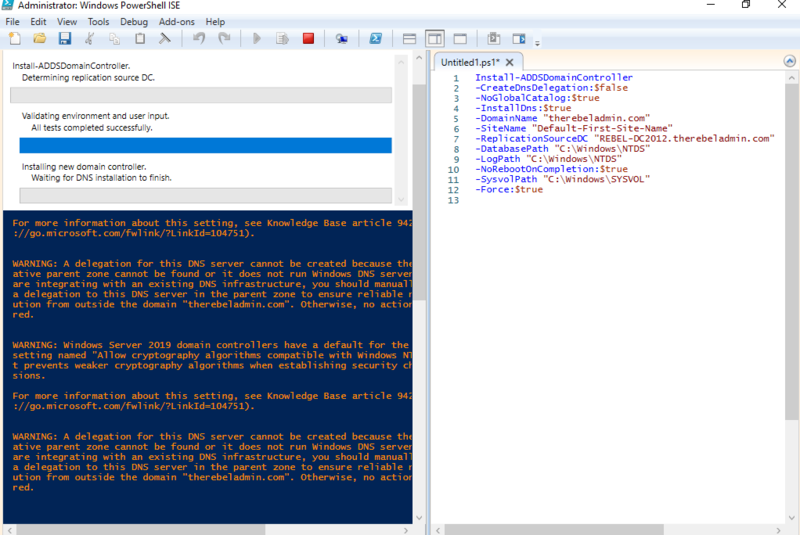 Now we have completed the migration from AD DS 2012R2 to AD DS 2019. Same steps apply when migrate from windows server 2008, Windows server 2008 R2, Windows server 2012 & Windows server 2016. 12. After the migration completes, we still need to verify if its completes successfully. This command will show the current Domain functional level of the domain after the migration. Above command will show the current forest functional level of the domain. This marks the end of this blog post. Hope this was useful. If you have any questions feel free to contact me on rebeladm@live.com also follow me on twitter @rebeladm to get updates about new blog posts. 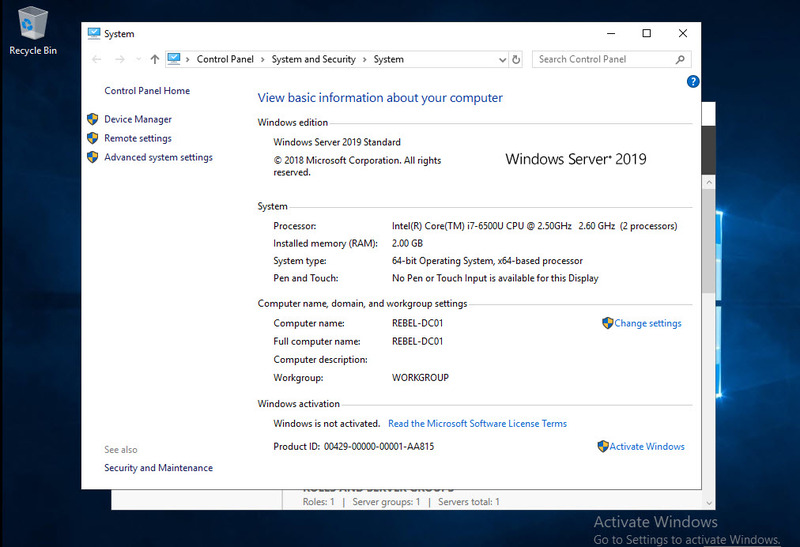 Finally waiting game is over, Windows server 2019 is now available for public. So, it is time to start planning for your production migrations. In this demo I am going to demonstrate how we can setup Active Directory 2019 with new AD forest. I will discuss new features of AD 2019 in a later post. In below, I created a checklist which we can use to track the progress of installation. As explain in the above figure, in my demo environment, rebeladmin.com will be the forest root domain. The first domain controller install on the forest will hold all five FSMO roles. 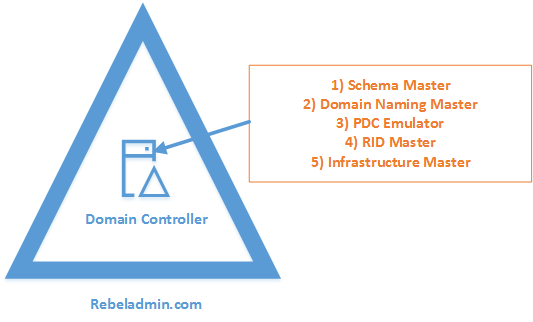 Once additional domain controllers are in place you can place them in appropriate locations. 1. To start the configuration, I logged in to Windows server 2019 server as local administrator.